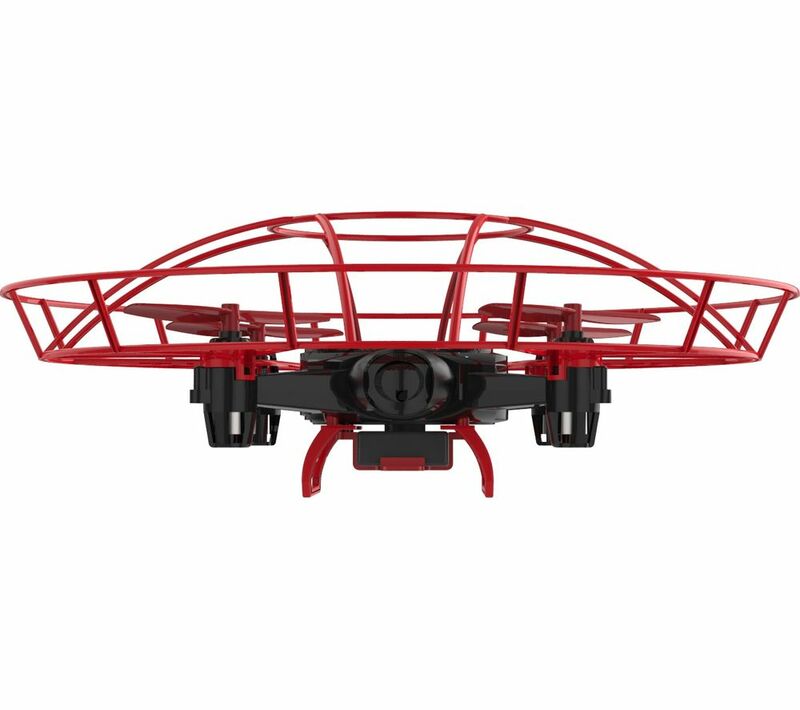 Overview & specs of Aura GestureBotics C17800 Drone With Controller by Argos. Transforming human gestures in to telekinetic commands; Embedded in a unique wearable glove controller, gesturebotics technology allows the user precise control, making drone flight easier than ever before. Put on the gesturebotics glove and aura is at your command; Wave it toward you and it flies towards you. Wave it away, and it flies away. Left, right, up, down. . . All with the wave of your hand; With aura, anyone can fly the drone as though they have super-powers; Size H35.5, W28cm. Batteries required: 2 x Li-Ion (included) plus . For ages 8 years and over. WARNING(S): Not suitable for children under 3 years old. Only for domestic use. We are comparing prices for Aura GestureBotics C17800 Drone With Controller in new condition sold by Argos.